Purim is a holiday celebrated by Jewish people for centuries to commemorate the defeat of Haman, who had plotted to have all the Jews massacred in the kingdom of the Xerxes, king of Persia. This sinister plot is revealed and ultimately stopped due to the boldness of Esther and her uncle Mordecai. You can read all about this in the Book of Esther in the Hebrew Bible. “Rabbah and Rabbi Zeira celebrated the Purim meal together. They got drunk. Rabbah arose and slaughtered Rabbi Zeira. The next day he prayed and revived him. The following year, Rabbah said: Would the Master [Rabbi Zeira] like to come and we will celebrate the Purim meal together? The holiday today also is a sort of Jewish Halloween combined with Mardi Gras, where both young and old dress up in crazy costumes and have a great time until late at night or early the next morning. In addition, in the story of Esther, Haman is not a Persian, but an Amalekite. According to the Hebrew scriptures, the Amalekites were a group with whom the Israelites had an ancient animosity all the way back to the Exodus from Egypt, where the Amalekites are not only the first people to wage war against Israel as a nation but they do so while Israel is still a refugee people in the desert-wilderness (Numbers 14.45). This becomes the basis for on-going conflict between the two groups throughout the biblical history. In the Esther story, Haman the Amalekite tricks the Persian king into announcing an edict to kill the Jews. King Xerxes, when he discovers he has been tricked but cannot revoke his edict, issues another edict throughout his land allowing the Jews to protect themselves and thus rescues them. From the time of Esther (5th century B.C.E.) to the modern period (really the 20th century C.E. ), Persia had a significant Jewish population that often flourished. During the Roman period, the Jews often sided with the Parthians (from Persia), who were opponents of Rome, because in the areas the Parthians controlled they protected Jewish people and also had an elevated class for many Jews of Davidic descent called the rosh galuta, “leaders of the exiled.” Later in the 7th century C.E., when the Persian Sassanids briefly took control of Jerusalem from the Byzantine Christian Empire, the Jews sided with the Persians because they had suffered so much persecution by Christians and the Sassanids temporarily liberated them this oppression. Though anti-Jewish sentiment in Iran grew during the 20th century, it really was not until after the Iranian Revolution in the 1970s that the relationship between Persia (Iran) and the Jews (Israel) fully degraded and shifted to the reality of its present tense relationship. 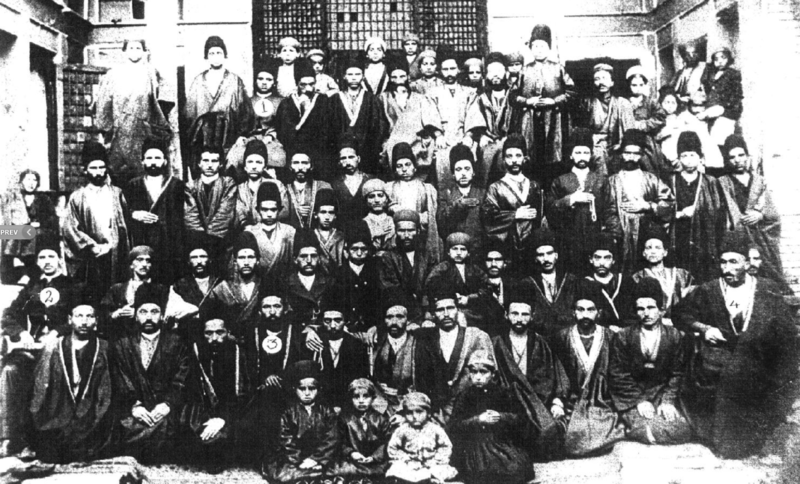 In the late 19th and early 20th centuries, there were more Jews living in Iran than in Palestine. Notably, when the other Middle East nations declared war against Israel in 1948, 1956, 1967, and 1973, Iran abstained, neither declaring war nor sending troops or supplies to support efforts against Israel. Even at the time of the Iranian Revolution in 1979, there were still around 80,000 Jews living in Iran. So, when someone makes a statement that seems to indicate there is an ancient animosity between these two peoples and nations, that “they’ve been fighting for centuries” or that they are “ancient enemies”, please tell them to check both the Bible and history. The conflict is truly only a few generations old. Which gives me hope. Where there was once peace, there is hope that there can be peace again. 1. Talmud quotes from Megillah 1.4, Neusner, Jacob, eds. 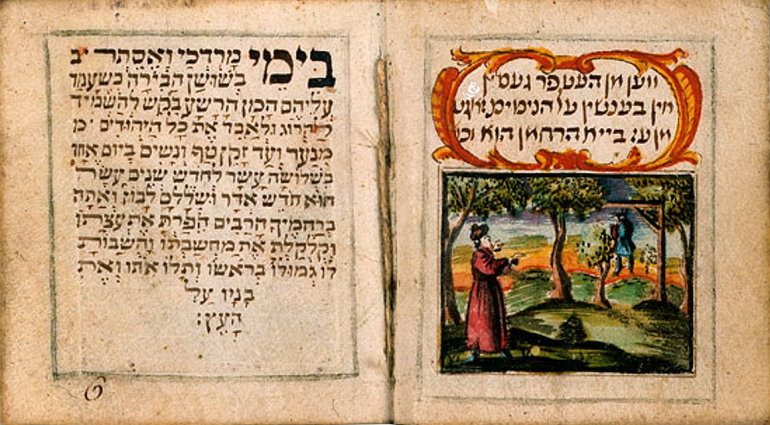 The Babylonian Talmud: a Translation and Commentary. Accordance Electronic ed. Peabody: Hendrickson Publishers, 2005. The entire translation can be read at the British Museum.